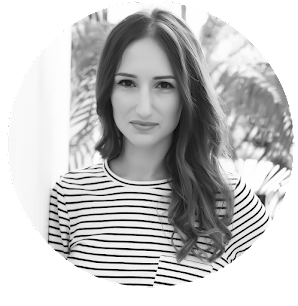 I am all about quick DIYs, I have no patience for anything that takes time. These are so great!! 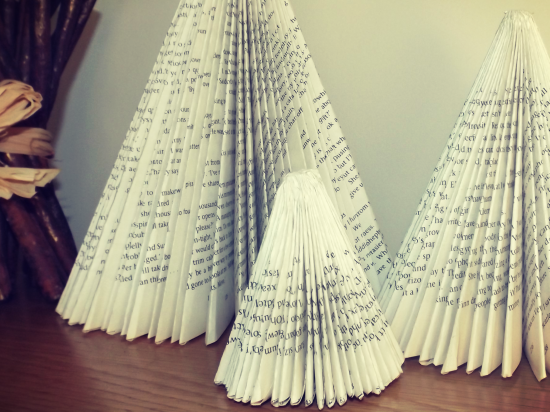 I made a wreath our of book pages once but never thought of trees. Great job, I love them all! 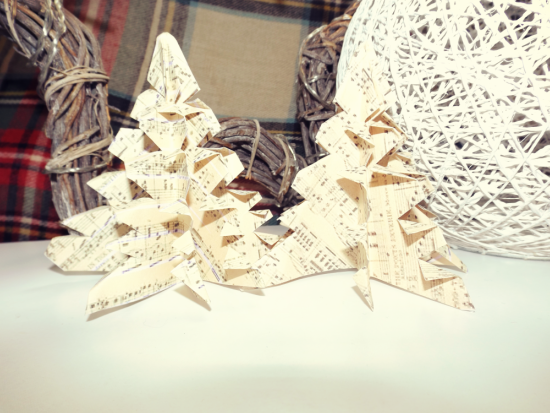 Ahh how cool I spent the weekend making this same papper trees with some magazines! Super awesome! These are awesome!! I love this! Oh I love it, it's so nice ! It is a very original and beautiful idea !! That´s so cool, great idea! Amazing, I've done when I was child at school!!!! Ok these are amazing!! Need to try making these!! So cute and a great decoration! These are so cute and just so perfect to have some fun in the holiday season! 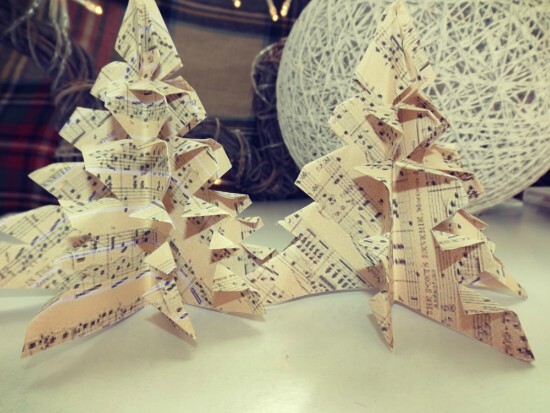 These paper tree crafts are amazing...such a great idea! now sweet is that! origami trees are adorable! this is a genial idea. I like them and it's such a cute idea for minimal and original Cristhmas decorations. Loving both! 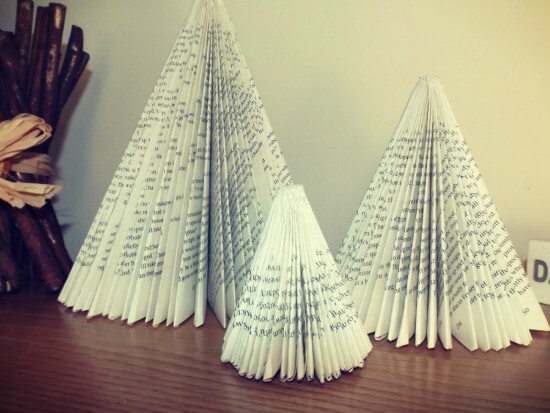 Thanks for sharing this wonderful decoration idea!